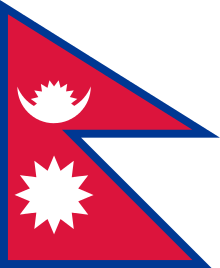 Danwar, also known as Danuwar, Denwar, Dhanvar, Dhanwar, and Rai, is a language spoken in parts of Nepal by an Indo-Aryan ethnic group of fifty thousand. It is close to Bote-Darai but otherwise unclassified within the Indo-Aryan languages, and is not related to the Rai languages of the Tibeto-Burman family. ↑ Hammarström, Harald; Forkel, Robert; Haspelmath, Martin; Bank, Sebastian, eds. (2016). "Dhanwar (Nepal)". Glottolog 2.7. Jena: Max Planck Institute for the Science of Human History.